Why is the single mother so often misunderstood? Single moms are everywhere around us; yet, one would think she is as elusive and mysterious as a unicorn. It shouldn’t be that difficult to see all the remarkable things they do; but, so many misconceptions abound about who she is, what she does, what she wants, and what she needs. READ ALSO: Who Is Today’s Single Mom? We could just drop the mic after Marika’s statement because she describes all that has to be said about how amazing single mothers are, not to mention how untrue many notions about them are. However, other moms had interesting insights about what the world thinks of them versus reality. When it comes to dating and relationships, it’s time for men to recognize that no knights are necessary. In case some have missed the memo, single moms don’t need to be rescued! Ashley is just one example out of thousands of independent mamas who are getting it done without the need of help from anyone else. When it comes to dating and relationships, it’s time for men to recognize that no knights are necessary. If a single mom chooses to date, it’s because she’s interested in finding a man who can keep up with her wit, intellect, and all she has to offer. She might be interested in a companion, but none should assume she is fishing for a daddy, a hero, or financial bailout. When I divorced, I was urged by well-meaning friends to fight for my marital home in the divorce because it is often seen as a major “prize” to be won. I determined that the house was no prize if it was more than I could manage to maintain by myself, it was out of my budget with just my income, or meant I had to live in a home filled with bad memories. If a single mom wants to buy a home, she will find a way to make it happen; but, it needs to be on her terms, with what makes the most sense for her individually, and not simply something to do because many others before have. 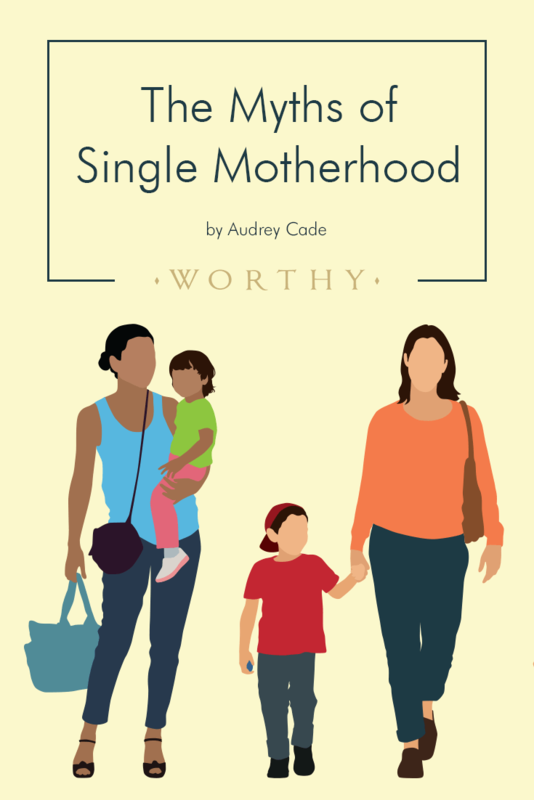 While the break-up of a significant relationship and obvious challenges of parenting alone can be daunting, Cathy is so correct about the beautiful side of single parenting, which includes the ability to focus more on what matters most. The parent-child relationship can be stronger, as a result, not to mention other areas of a single mom’s life may bloom as a result of the necessity for her to cover all bases. The beautiful side of single parenting includes the ability to focus more on what matters most. Adversity brings out the best in many of us. A challenge, like single parenting, may force the hand of innovation, creativity, and priorities until a mom’s energy is concentrated like a laser, able to target exactly what needs to happen in the most efficient, resourceful, and loving way that only a single mom knows how to accomplish. Let’s be clear, single mothers write their own ticket! They don’t fit anyone’s preconceived notions or fit into anyone’s box. If a job needs to be done, a single mom is your gal! If a challenge needs overcome, she’ll be the one to figure it out! And, she certainly won’t listen to the peanut gallery who has no idea who she really is and what she’s all about!